A custom Nuke node that creates a quicktime and uploads it to Shotgun for review. 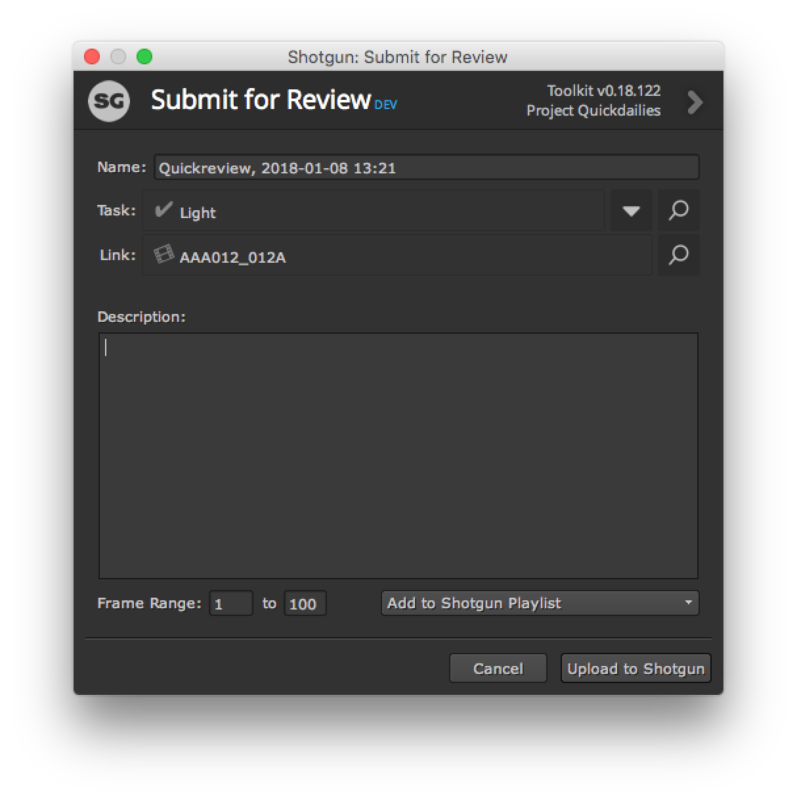 The Quickreview app makes it easy to submit Nuke renders for review in Shotgun. A Version in Shotgun will be created with each quickreview submission. It appears as a node in Nuke, located on the Shotgun Node menu. Simply create a new node, attach it to your Nuke network, double click it and click the Upload button. The version name is pre-populated based on the currently loaded nuke script and can be adjusted if needed. The entity link and task associated with the version is based on the current context and can be adjusted. The frame range to be submitted can be adjusted. The created Version can be added to a playlist. A dropdown with recent playlist are being displayed. 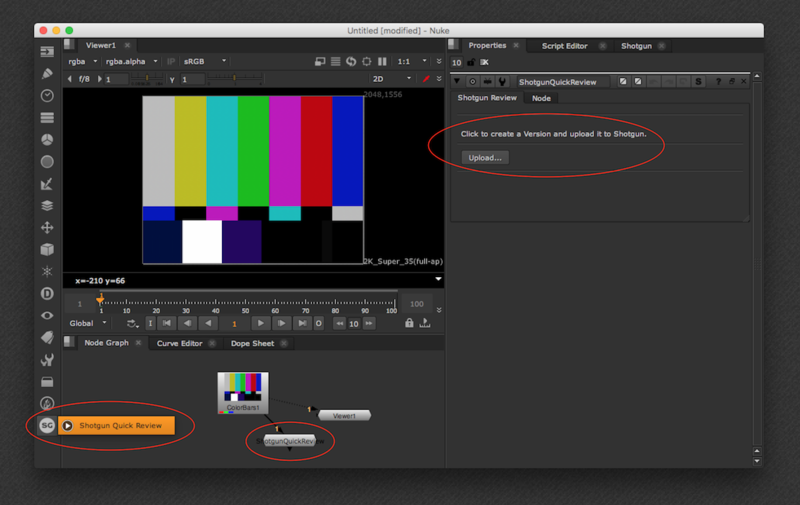 Once you press the Upload button, a quicktime will be generated in nuke and then uploaded to Shotgun. 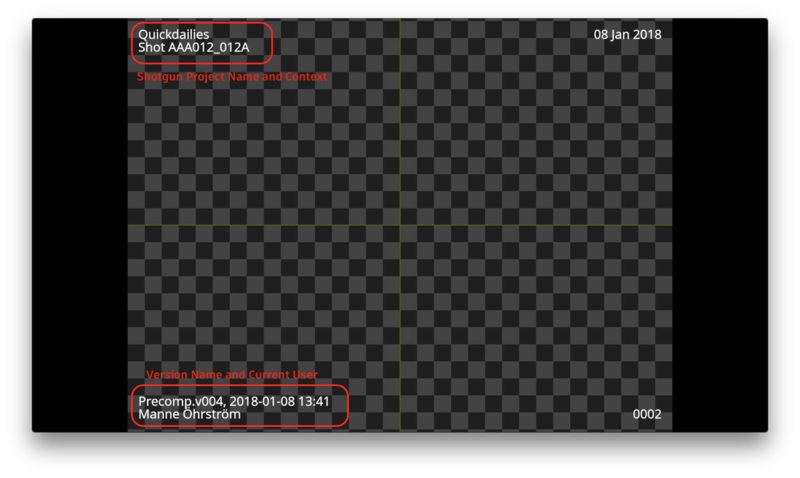 Once uploaded, the following screen will be shown, allowing you to either show the Version in the Built-in Shotgun Panel in Nuke or in the web overlay player. Most aspects of the review submission can be adjusted using hooks. Documentation can be found here. If you have access to the Shotgun Pipeline Toolkit, you also have access to the source code for all apps, engines and frameworks in Github where we store and manage them. Feel free to evolve these items; use them as a base for further independent development, make changes (and submit pull requests back to us!) or simply tinker with them to see how they have been built and how the toolkit works. You can access this code repository at https://github.com/shotgunsoftware/tk-nuke-quickreview. You need Shotgun Pipeline Toolkit Core API version v0.18.124 or higher to use this. You need Engine version v0.2.3 or higher to use this. Description: Hook for adding extra logic and customization during the different submission stages. Description: Hook for customizing settings and behavior. Fixes an issue with playlist status not working on modern sites. 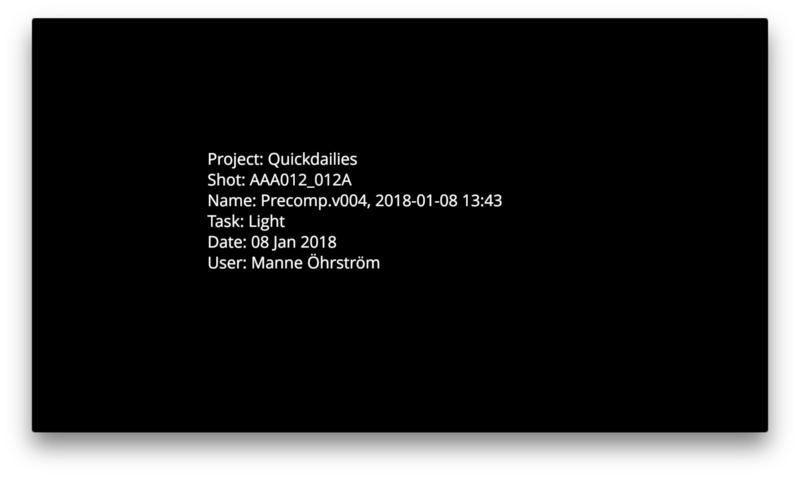 I believe this app is replacement for tk-nuke-quickdailies and it is great to have those options before rendering. For our own purpose, I add more fields to allow users to choose Resolution and LUT as well. Since the given hook cannot do it perfectly, I have to modified the original app. But it would be great to have a hook that allows us to add more fields to UI and setup the render based on users' selection. We would love to improve the hook interfaces based on your feedback! Would you be able to share more details around the modifications you had to make to get your workflows in place? (If you don't want to do it publicly here, just drop us a line at support@shotgunsoftware.com). For now, I just simply modified the designer file, regenerate UI and added a couple of functions to deal with those new fields. and make the selected one as default selection in quickreview dialog. to get all those presets. I think I am going to add a checkbox as well to allow users send a render job to our farm. But it is not an ideal solution, since I achieved this by modifying the original app. So if there is a hook to allow us to do those customization, it would be really helpful. I was wondering if there has been any development on this that incorporates the features that Yi Zheng mentioned he had added (resolution, LUT or .cdl)? This would be very helpful if something is available. 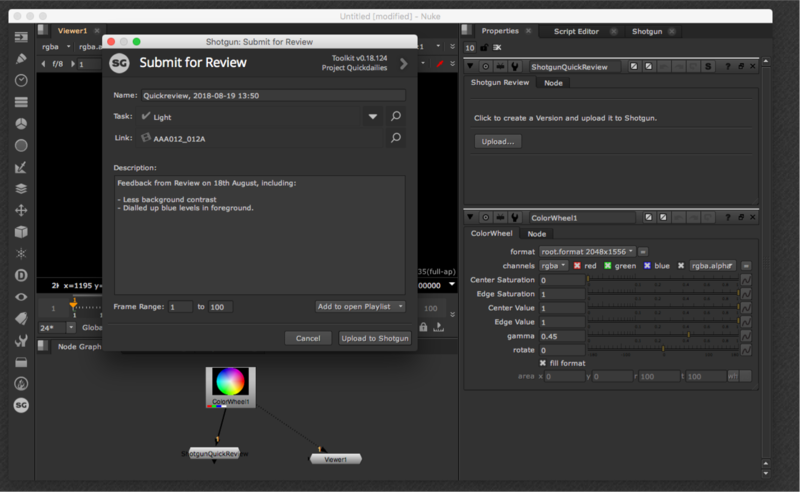 one function QuickDailies offered was taking a snapshot and placing that nuke script into the snapshots folder. I have a feeling this worked straight out the box (maybe not, we've just lost the guy who was our SG administrator). Is there a way to enable this feature for the QuickReview tool? And if so, how would I go about doing that (on an existing project)?